Organizers of the Fourth Annual Festive 5K Run/Walk hope are urging participants to form teams and compete against each other. On your mark, get ready and get set: The Brandywine Health Foundation’s Fourth Annual Festive 5K Run or One-Mile Fun Walk is scheduled for Saturday, Dec. 7, at 9 a.m.
For many area families, the event, which benefits the Coatesville Youth Initiative, has become a favorite holiday kickoff since it’s followed by the Coatesville Christmas Parade. Hundreds of people of all ages and fitness levels – including a team of representatives from Coatesville City Council this year – are expected to share the downtown streets in support of a worthy cause. School groups of teachers, students, administrators, family, and friends are encouraged to form teams and compete against each other. As a registered team, you will be provided with a personalized team and/or individual web page to help raise additional dollars for the Coatesville Youth Initiative. Set your own school fund-raising goals and have team members ask friends and family to sponsor them, organizers suggest. The event’s amenities include a USA Track and Field certified course, chip timing, cash prizes to overall winners, medals to age group winners, awards for community spirit and fund-raising, and more. Registration is free (but required) for all walkers and for runners under 18. Registration for the 5K is $20 in advance or $25 the day of the race. 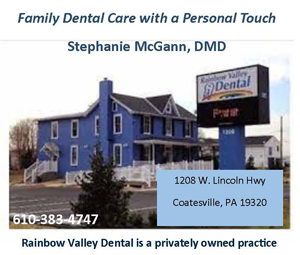 Launched by the Brandywine Health Foundation in 2010, the Coatesville Youth Initiative fosters collaboration among community residents, youth, area businesses, nonprofit and county agencies, the Coatesville Area School District, and other educational entities. Its numerous programs aim to reduce the young people’s risk factors and help them reach their full potential. Since its founding in 2001, the Brandywine Health Foundation has provided nearly $12 million in grants to services and programs to improve health and encourage youth development in the Greater Coatesville Area. To learn more about the Brandywine Health Foundation, the Brandywine Health & Housing Center, or the Coatesville Youth Initiative, visit www.brandywinefoundation.org or call 610-380-9080, ext. 102, to speak with Dana Heiman, vice president of development and communications. For details and on-line registration for the Festive 5K, visit www.festive5k.com or call Jill Whitcomb at 610-380-9080, ext. 103 to register your team. 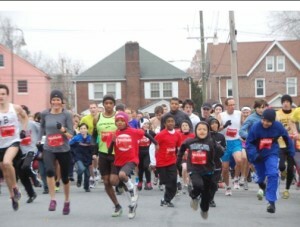 Additional information is available at http://www.coatesville.org/4th-annual-festive-5k-runwalk#sthash.4vdHScAB.dpuf.